“Althea Francois joined the Black Panther Party in New Orleans in 1970 as a community worker,” writes the Black Panther Party legacy and alumni website, It’s About Time. Althea made her transition on Christmas Day 2009 at age 60. “She was 19 years old and attended her first political education class at the Piety Street office. At one of the political education meetings, it was announced that there were two undercover police present. People from the community identified them and then ran them out. This incident led to the first raid on the party office. After the office was raided, Althea called Central Headquarters and was directed to reopen the office. By the end of the next day, the office was open and functioning. “Althea’s responsibilities included soliciting for funds for the party, the Liberation School and visiting political prisoners arrested during the raid. “Althea survived the second raid on the office in the Desire projects. During that time, she worked in the Sickle Cell Research Center. She came to California in 1972 to work on Bobby Seale’s mayoral campaign. She worked at the West Oakland Center where some of her duties included selling papers, collecting donations and serving as the health officer for the West Oakland office. Althea also registered many people to vote during Bobby’s campaign and worked as a cook at the Lamppost Restaurant. 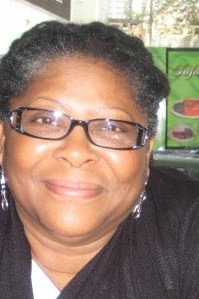 “Althea Francois,” writes the Louisiana Justice Institute, “embodied the finest and most basic ideals of empathy and generosity and inspired all who had the privilege of coming in contact with her. “She has long been a leader in local organizing against the Prison Industrial Complex. In the late ‘90s, Althea worked to create a base for political prisoner work in New Orleans and was one of the main organizers in the campaign to free the Angola 3, three Black Panthers held in solitary confinement for their political beliefs. When Angola 3 member Robert King was released in February of 2001, he moved to the home of Althea and Marion Brown, another former Panther. “Shortly before Katrina, Althea was able to purchase a home-base for her daughters and grandchildren in New Orleans’ Gentilly neighborhood. In 2005, the flooding of New Orleans ripped apart the security she had at long last established. The years since then were a tense balancing act between work in Atlanta, work in New Orleans, her children and her grandchildren. Though Althea rarely complained, she was beset with a number of crippling maladies – asthma, high-blood pressure and the incessant pressure of keeping a family together in these difficult times with never enough support. “In the months after Katrina, she was one of those who came together to form a new organization, called Safe Streets / Strong Communities. Her dedication, vision and commitment guided the organization through several intense years of struggle over the city’s criminal justice policy. Her efforts brought real reforms, from the establishment of the city’s Office of the Police Monitor to uncovering and exposing the role of New Orleans police in post-Katrina killings. “Althea loved her daughters with the ferocity of a lioness and was so proud of their accomplishments. They were the center of her being. “Sadly, Althea had no insurance and no savings, thus leaving her daughters not only with the grief of losing her, but with the challenge of raising funds for her funeral. If you can help with a donation to the family, please send it to: Olga Francois, c/o Todd Taylor, 7704 Benjamin St., New Orleans, LA 70118, (202) 277-0997. 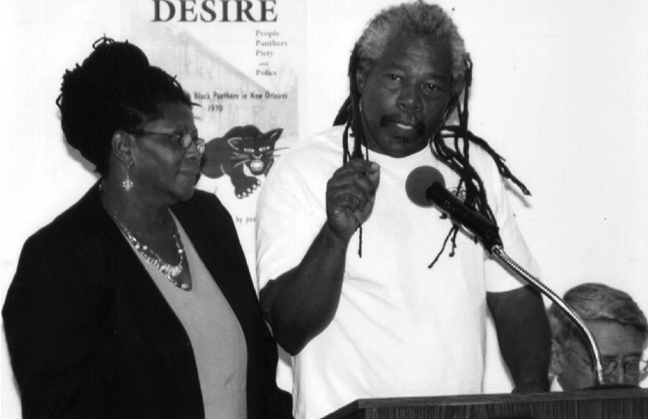 “Almighty God has recalled a soul back that was a pillar in our struggle for human dignity and spiritual liberation,” writes Nassor Faruq Hassan (Ronald Ailsworth), a comrade of Althea’s in the Black Panther Party, who has been confined at Angola State Prison for 30 years. “She was the love of my life, flesh of my flesh, blood of my blood. “When I needed love, she was there giving me love and tender care. Whenever she smiled, her smile lighted up the world. My heart is heavy. “Althea, I see and visualize you walking around heaven with Harriett, Martin, Malcolm, John Brown, Nat, George, Clara, Billie etc. There are no tears to be shed, only rejoicing for an African queen among queens, a soldier among soldiers. “You fed the hungry – mentally, spiritually and physically – and clothed the needy. You gave the blood of your intellect for the liberation and spiritual salvation of all the oppressed and exploited people, the masses. Send our brother some love and light. Write to Ronald Ailsworth, 92888, Oak 2, Louisiana State Prison, Angola LA 70712. Thank you for publishing this. It means a lot. I was fortunate to share her with the world. It is wonderful that you have shared some of you mother, my sister with the masses Olga. She was all of that and so much more. I love her and the memories of the struggle for better for our people.